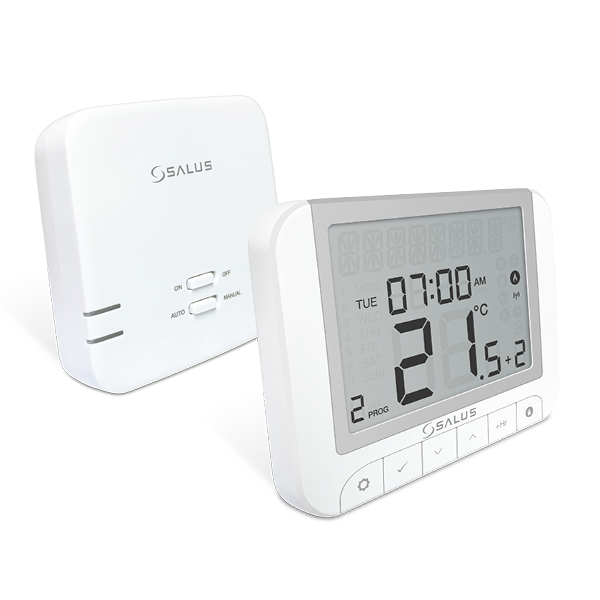 The RT520RF is the latest addition to SALUS’ tried and tested RT range of thermostat heating controls. 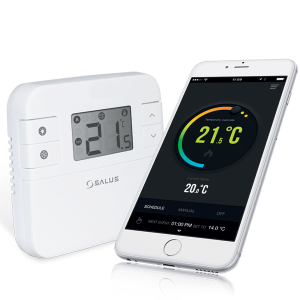 With a new on-board load compensation feature, it offers the most cost effective fully compliant Boiler Plus solution on the market providing the homeowner with optimum efficiency and maximum heating control comfort. 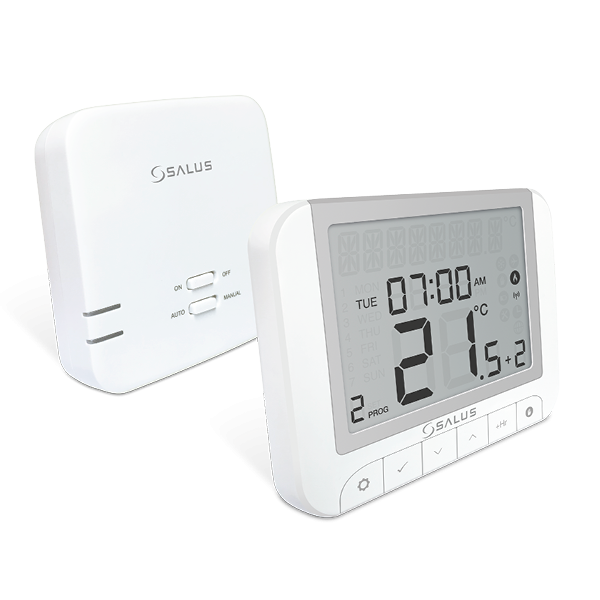 The wireless RT520RF thermostat includes all the features of the previous RT series with a larger more intuitive LCD display and a handy new suite of additional operational and efficiency functions. The RT520RF is factory pre-paired as standard. When you power up the receiver, the RED LED will flash. 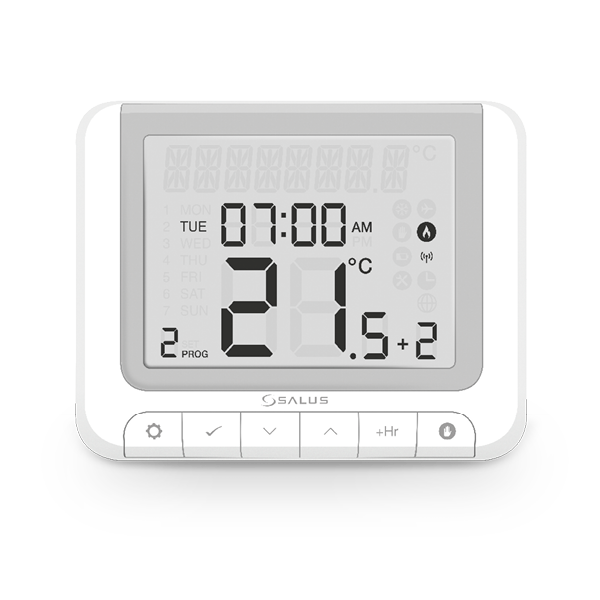 Load Compensation is one of the 4 energy saving features that makes a system Boiler Plus compliant. 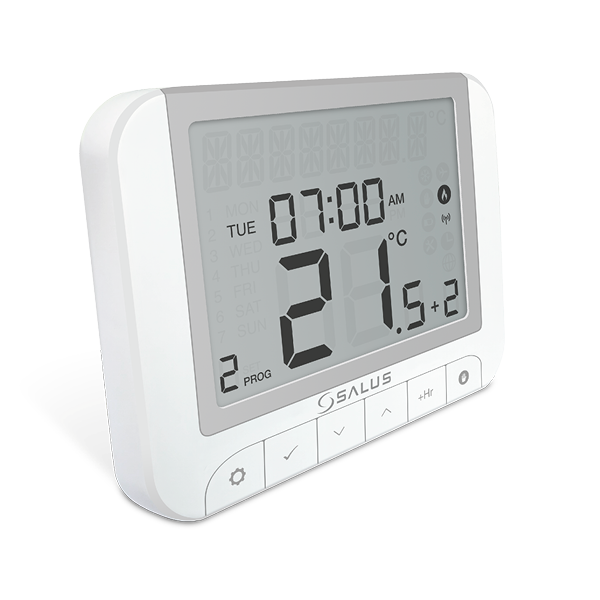 Therefore the RT520 will be the most cost effective fully compliant thermostat option on the market. 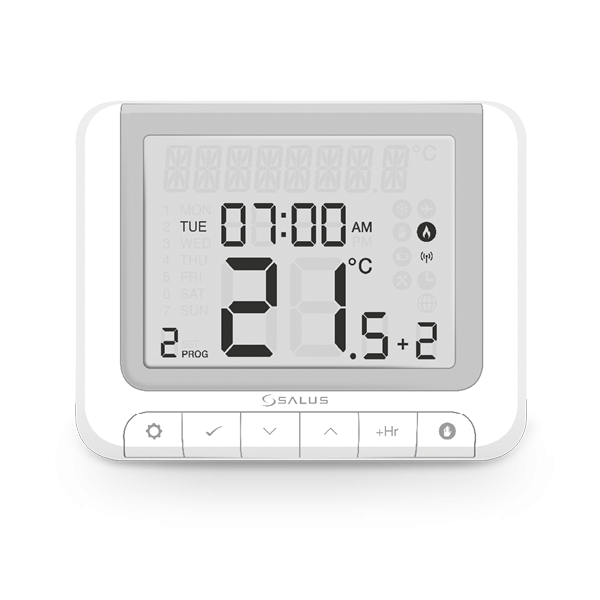 Taking the most commonly used OpenTherm protocol compatible with most new boilers sold in the UK, on board load compensation allows the homeowner to more efficiently manage their heating and reduce energy and costs. 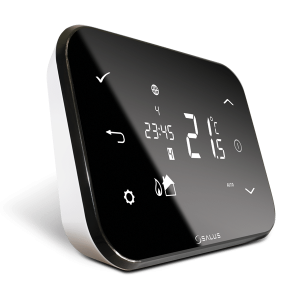 OpenTherm provides more precise control on the boiler through the control of the gas valve. Optimum Start and Optimum Stop. Simple, quick and straightforward operation and setup for all users. 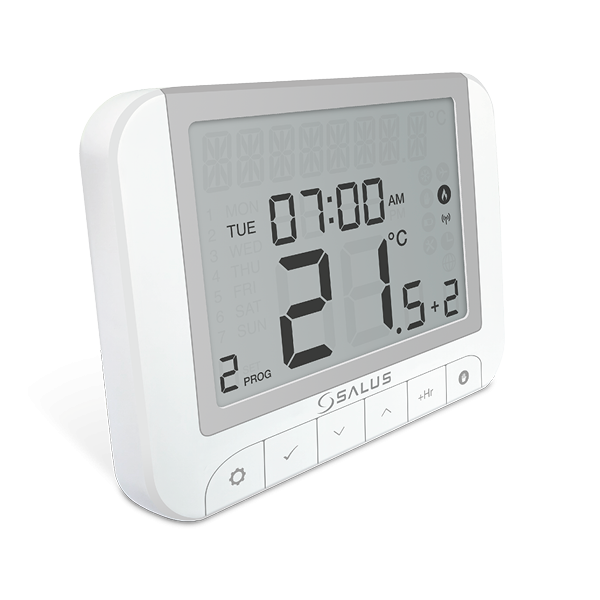 More precise heating control with increased comfort and improved energy efficiency. Improved ErP rating means better efficiency rating of the whole system and total cost reductions. ErP IV is a benchmark minimum for some EU markets. 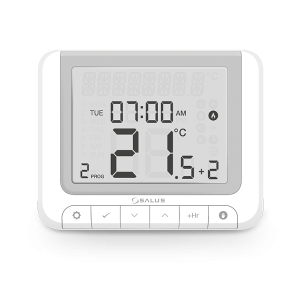 Thermostat can be programmed to ensure home occupier is aware a boiler service is required and landlord can access to action. PIN entry option for landlord/building owner only access to certain settings and menus. Simple and quick to install with no 230v wires. 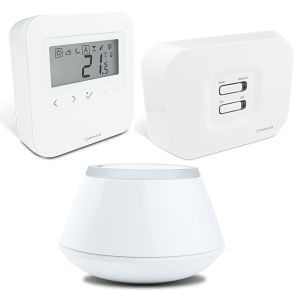 Wireless free installation, excellent range and pre-paired out of the box. For maximum peace of mind.